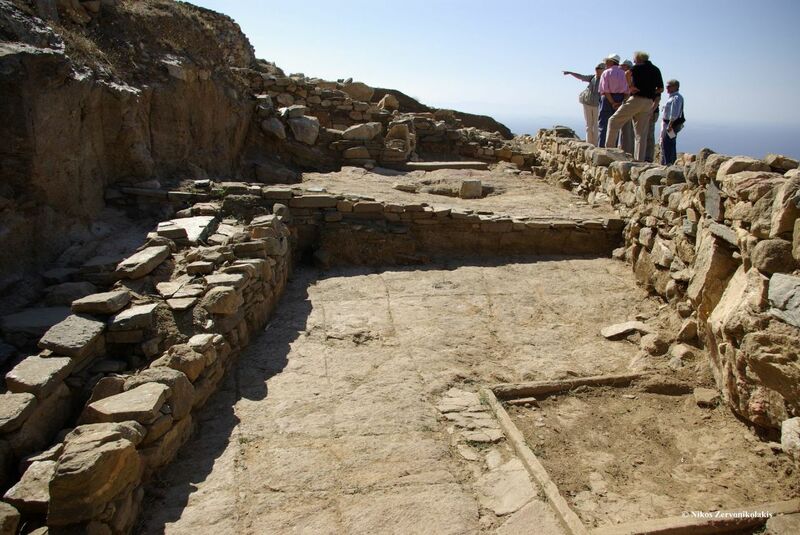 The history of Tinos Island is indelibly stamped by the historical course of its Castle and the Castle’s greater area. 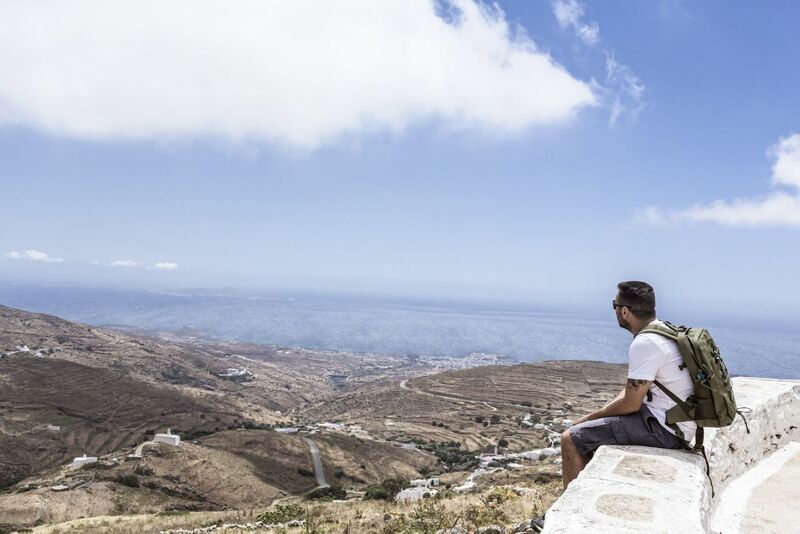 From our countryside hotel, Crossroads Inn, gazing to the north, at the back of the traditional Cycladic village of Tripotamos, you face a towering granite starkness hill. 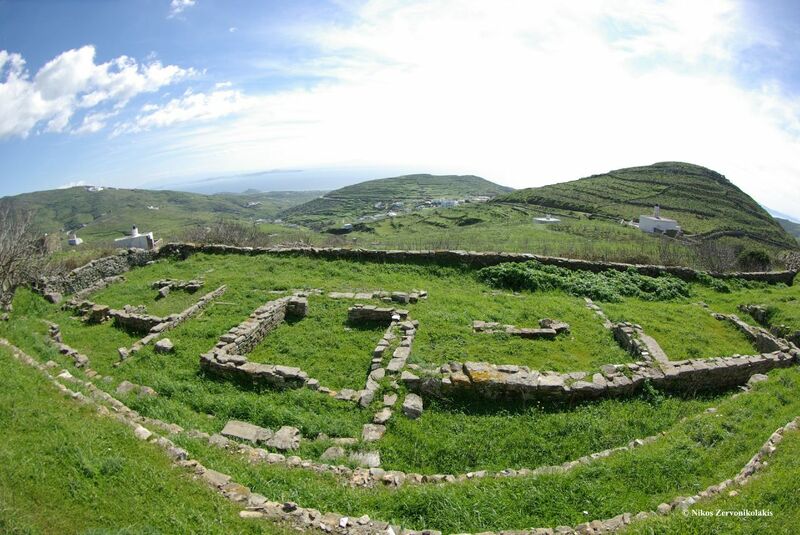 The granite hill’s contemporary name, where the medieval capital of Tinos Island once stood, is "Exombourgo" [Outer Burg]. 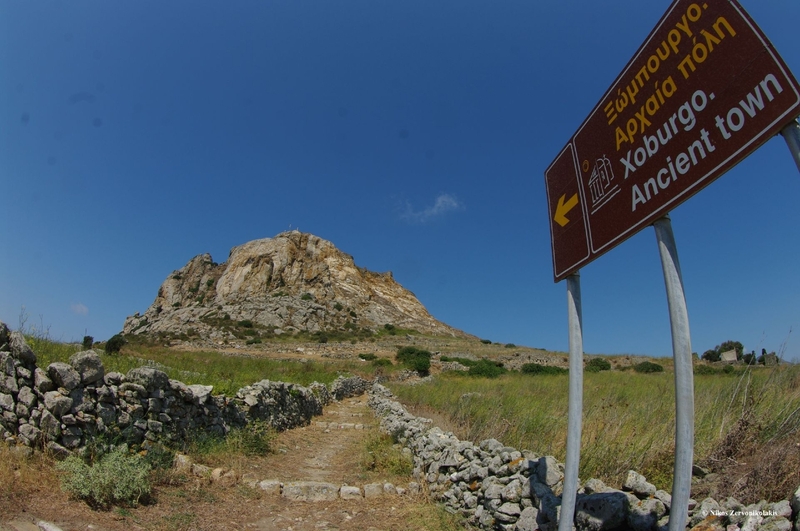 It was named after the deserted village by the same name that the inhabitants of the town within the Castle built when the Turks razed the city within the Castle to the ground. An enormous granite boulder of volcanic rock, Exombourgo towers over the island, with its peak at 640m above sea level. 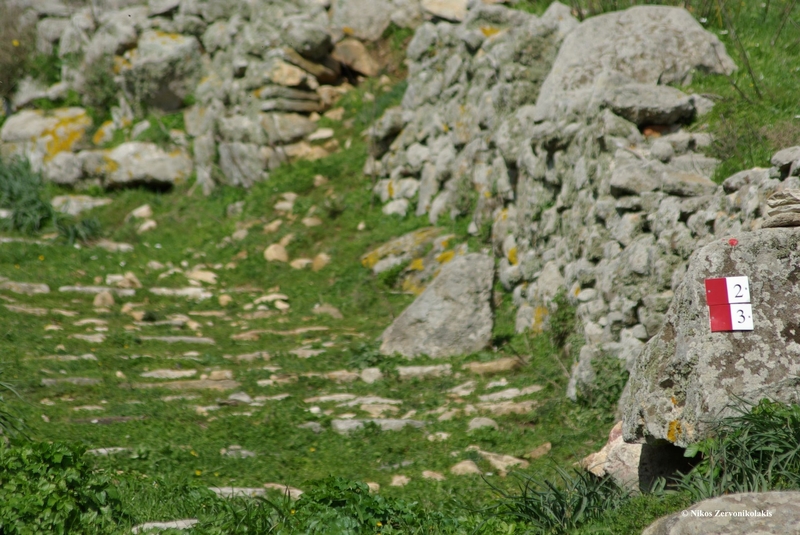 Though unclear as to when the area was first inhabited, archaeological excavations have brought to light walls, housing, a burial ground, and a number of public buildings which confirm fortified habitation of the area since prehistoric times. With the exception of some intervals, habitation of the area continued. During the archaic period the inhabitants raised temples to their gods. 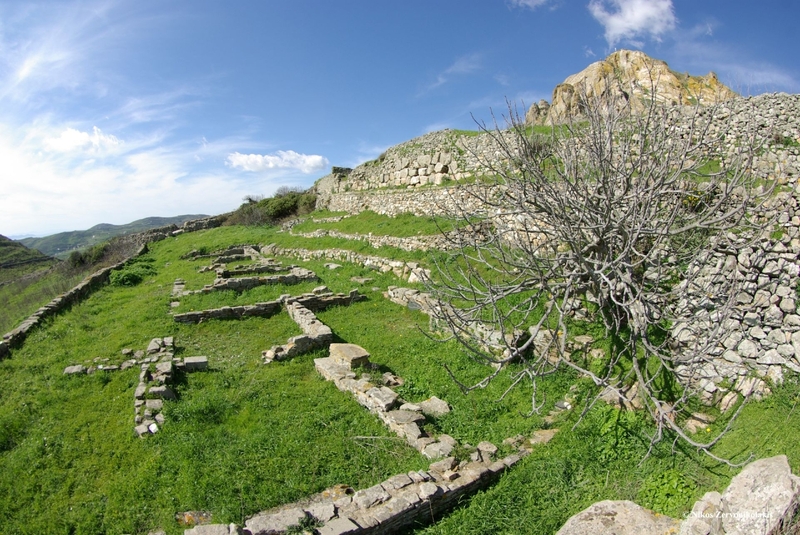 They also built sanctuaries such as the Thesmophorion dedicated to the goddess Demeter and her daughter Persephone. It is also evident that at a later time, the inhabitants abandoned the area in favor of moving south. In the early medieval times, pirate raids in the Aegean intensified. The Tinians were forced to abandon the coast, desperately looking for their island’s morphology to protect them. It was then that they were drawn to the safety of the towering hill of Exombourgo and returned to it. They rebuilt their capital, fortified it with impregnable walls and named it "Castle of Aghia Eleni" (St. Helen’s Castle). 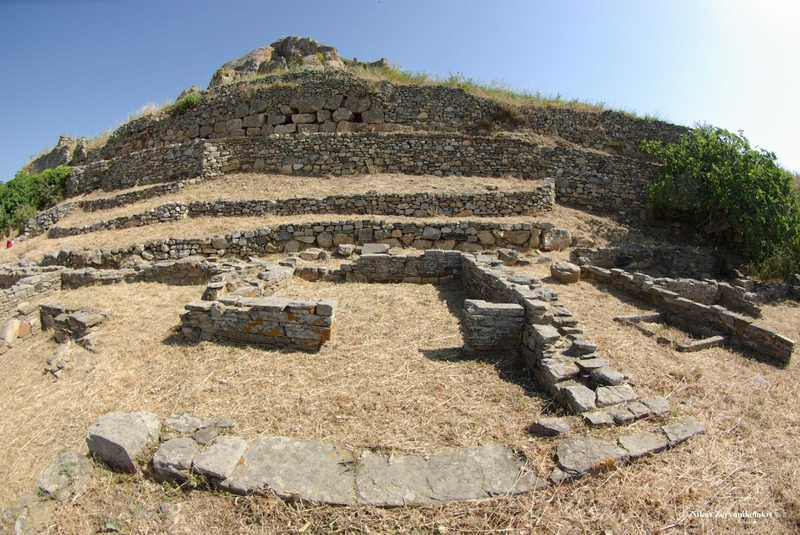 In 1207, the Venetian brothers Geremia and Andrea Ghisi came to the island of Tinos. They installed themselves within the castle and reinforced the existing fortifications of their stronghold. For the next 183 years (1207-1390), Tinos remained under the rule and protection of the Ghisi Family. The Venetians, who arrived in 1390, lavished on the Castle the same care the Ghizis had and protected it for another 325 years (1390-1715). They went on to build lofty towers on each of the castle’s sides so that they may monitor the Aegean. In 1537, the pirate Hairedin Barbarossa conquered the island on behalf of the Sultan. A few months later the Tinians rebelled and banished their conquerors. The fortification works were resumed with even greater determination and, upon completion, they proved worthy of repelling the Turks’ frequent onslaughts. In 1715, the castle surrendered to the siege laid by the Turks. Its inhabitants were forced to abandon it and the Turks blew up the castle’s towers, ramparts, and buildings. A handful of locals continued to live there until the end of the 19th century. In mid-18th century, a new Catholic cathedral was built there and was dedicated to St. John the Baptist. In 1900, in the place once occupied by the small church of Aghia Eleni, a huge marble cross, the very same that rises dominant over the island today, was erected. 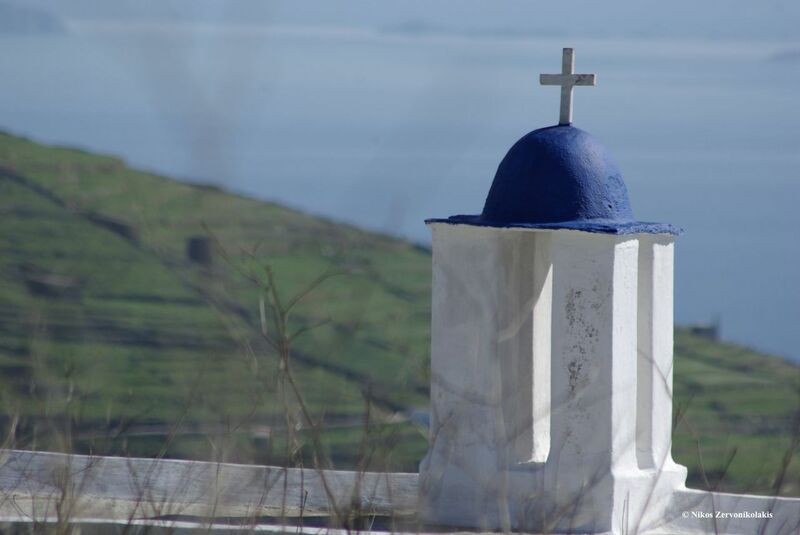 Today, there are still three churches on the island testifying to Tinos Island’s glorious past: The churches of Aghios Minas, Aghia Eleousa (both Orthodox ones), and the Shrine of the Holy Heart of Jesus (the medieval church of Aghia Sophia). This last church, a Catholic one, is tended by Jesuit priests, an order which has been there since the 17th century. As ever, faith continues to breathe life into history.